And Then What Are You Prepared To Do? That’s a quote from one of my favorite movies of all time, The Untouchables. Eliot Ness is an FBI agent trying to bring down Al Capone, but is getting nowhere when he meets Jimmy Malone a beat cop who’s tired of seeing Capone have his run on the town. Ness asks for his help, but before Malone commits, he wants to know how dedicated Ness really is in getting Capone. So as they sit together in a church, Malone asks, “What are you prepared to do?” To which Ness replies, “Everything within the law.” And Malone says, “And THEN what are you prepared to do? Because if you open up the ball on these people Mr. Ness you must be prepared to go all the way. Because they won’t give up the fight until one of you is dead!” What are YOU prepared to do? For what you believe in what are you prepared to do? Churches are notorious for their lack of change. At best most of us are stuck in the 1950’s, and for the most part much before that. We sing songs that are at least 200 years old. We have traditions that date back to the early church. Is there anything wrong with that? Nope. Not at all – when it’s meaningful. But that’s the problem. Sometimes it stops being meaningful. At least to those we are hoping to reach. We worry about the future of the church, but how worried are we? Are we really worried that church isn’t sustainable or are we just hoping it lasts long enough to bury us? Maybe we’re just hoping we outlive the church so that we aren’t the one closing the doors. Barna Group study on the importance of church. The answer, not very. I read a disturbing report about the faith of the Millennial generation. In it, it said only 4% of Millennials are Bible-based believers; 96% are not. According to research done by the Barna Group, 59% of Millennials that were raised in the church have dropped out. Those are very disturbing numbers because it shows exactly how disconnected the next generation is from what we believe to be an essential element of our faith. And I don’t think it makes sense to just blame it on them or society or the world. I think we have to put the blame squarely on ourselves. We have not done enough to make church relevant to them. Here are some other disturbing numbers. 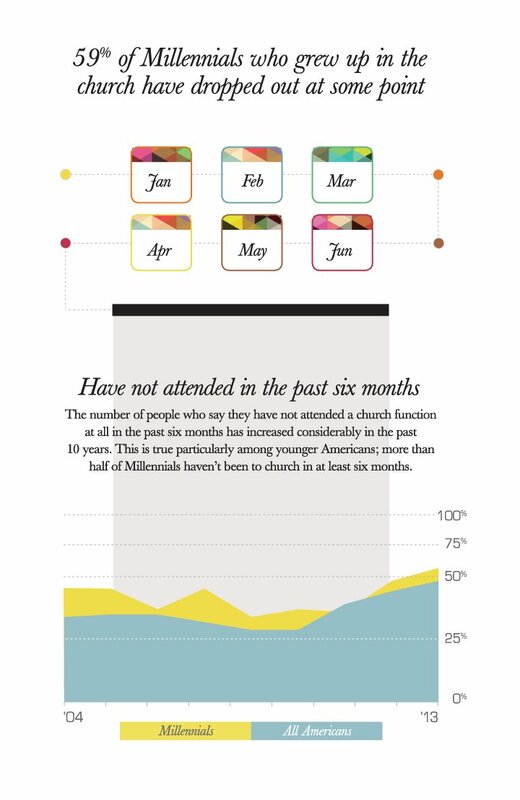 Only 20% of Americans under 30 believe church is important. 35% of Millennials have taken an anti-church stance. And they are the least likely group to attend a church. Here’s some more interesting facts. 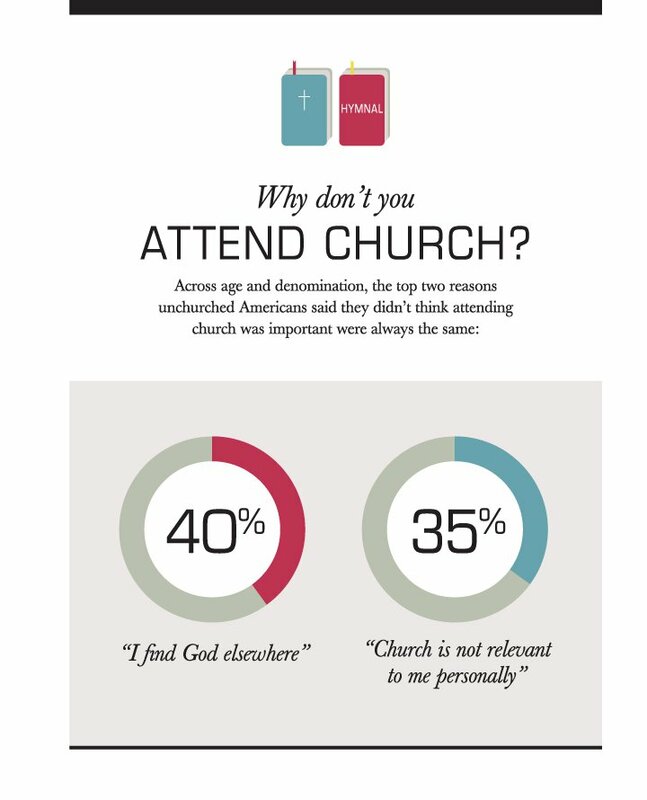 Of the people who attend church the number one answer for both Millennials and everyone else is “to be closer to God.” But of those who don’t attend church the reason they don’t is the same regardless of age or denomination – “I find God elsewhere,” and “Church is not relevant to me personally.” Wow. If they’re finding God elsewhere and feel that church isn’t relevant, then maybe that is exactly what church has become for those that we most want to reach and if we hope for the church to continue in any way, shape, or form we need to do something about it. But what? What can we do? I think before we get to those questions, we need to ask ourselves, “What are we willing to do?” The first question – “What CAN we do?” – is usually a loaded question. Because what it’s really saying is “What can we do that I am willing to do?” So the question we really need to answer is “What are we willing to do?” Only then can we answer the first question. We’re going to read this morning from a very familiar passage in the Bible, John 1:9-14. If you have a Bible or a Bible app, would you please find the Gospel of John and look for chapter 1, beginning with verse 9. So that is the question I want you to ponder this week, “What am I willing to do?” And that doesn’t necessarily mean something physical like walking the streets with a “Jesus loves you” sandwich board attached to your body. What I want you to think about is what would you be willing to give up to create a thriving church that shares the values and ideas you believe in? And the answer you might come up with is that there are enough churches in Dinuba and we don’t need to try so hard. Or you might say I don’t really think our church has something to offer that other churches don’t already offer, too. Or you just might say, I believe that being United Methodist is important because we offer a way of peace and hope that other churches don’t have and I don’t want to see that light in our community go out. Because if you believe that we offer something nobody else does and that it’s important to help people come to faith, that there just might be a group of people in our community who could connect to God through the faith we share, then what are you willing to do? Because Jesus gave up more than we could comprehend for you and me. Jesus gave up Heaven for us. That is what he gave up. Think about that for a minute. He gave up being with our Father in Heaven. He gave up an existence of true happiness and joy, just for the chance to connect to each of us. Not the promise, but the CHANCE. The Word became flesh. It’s just four words but those four words encapsulate an idea that people around the world have been debating about since it happened. Imagine being the most wealthy person in the world, living a life of comfort and ease, having no luxury beyond your reach and then deciding to give it all up to help because someone needed you. Foregoing every luxury imaginable because someone – you and me and everyone in this room – needed him. And even after doing that, some of those in need STILL rejected him. “He came to that which was his own, but his own did not receive him.” How disappointing would that be. And Jesus did it willingly and happily if it meant the chance to save us. Are you willing to give up what you treasure to bring people to Christ as radically as Christ did for each of us? The question that Jimmy Malone asked Eliot Ness is the same one I ask of you today. What are you prepared to do? I ask this because I know from experience that what people SAY they want and what they are WILLING to do are sometimes very different things. It reminds me of a joke the guys on the Jungle Cruise used to tell. They’d say over the loudspeaker, “If you’d like to see the line move faster, please raise your hand.” And of course a large number of people would raise their hand. 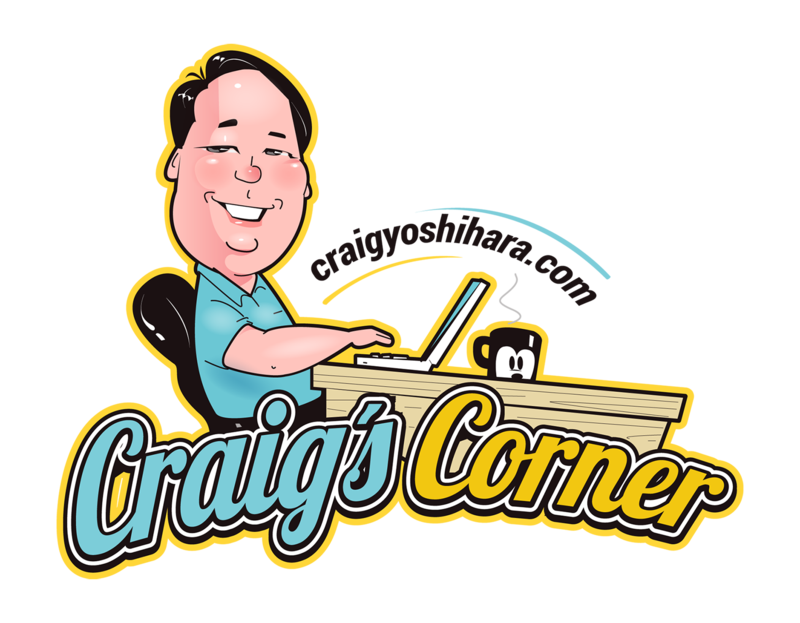 To which the Jungle Cruise skipper would say, “Great! Then step aside and let everyone pass you by and you’ll be able to see the line move faster. Thank you very much.” Sometimes when people say they want, and what they are willing to do to achieve it don’t match up. Often times when churches say they want to grow, what they’re really saying is, “We want more people coming to worship. We want more people coming to Christ. But we don’t want to do anything differently that might change how we experience church.” What would you honestly be prepared to do? Think about that as I tell you this story. One of my friends was starting a new church. I know I’ve told you this before because its one of my favorite stories ever. He launched a daughter church out of another more prosperous one. This church was very different than the one he had been a part of. 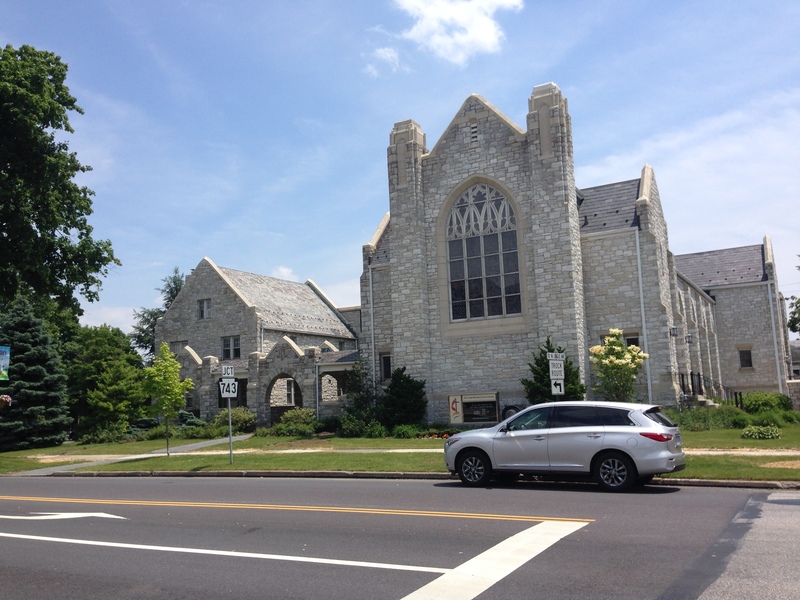 His former church was a very conservative church with very traditional worship straight out of the hymnal. It was and I believe still is a strong church with many members who love Christ. 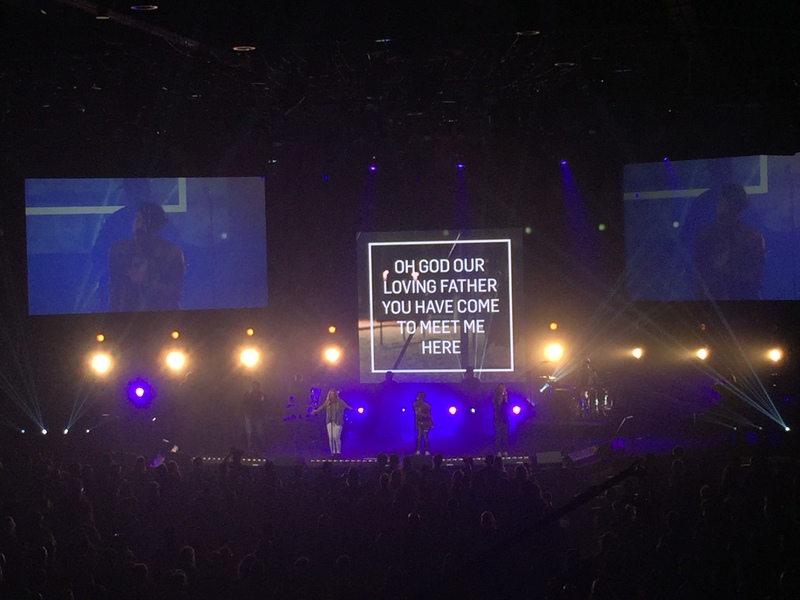 But they knew it was important to do something to reach a new generation and even though they didn’t want to change how they did worship, they wanted to support the creation of a space where that might happen. So they helped to fund my friend’s new church start. And at my friend’s church, they played really hard rock Christian music. It was loud. It was brash. It was nothing like the hymnal. It was almost like heavy metal rock. It was so loud in fact they had earplugs for people. And in the back sat this older gentleman – a guy in his 60’s or 70’s from the other church who my friend knew hated this kind of music. And in the offering the week before, he noticed that this very same man gave a huge donation to his church. So after worship he went up to him and said, “I don’t want you to think I don’t appreciate it, because I do, but you hate this music. You hate this type of worship. Why would you come here every week and write us a big check like this?” My friend said, “I just have to know.” And the man told him. “I may not like this music. I may not like this style of worship. But I have grandkids who might. And if this is what it takes to get them to know the Lord, then I’ll do whatever I have to do to make sure there is a place for them to find God.” What are you prepared to do? Pray about that this week. In the name of the Father and of the Son and of the Holy Spirit. Amen.